SEB has decided on the Business Plan for 2019-2021. Tomorrow, Thursday, 13 December, SEB will host an investor- and press conference presenting a summary of the new business plan, including a cost target for 2021. "SEB enters the next phase from a position of strength. The Group has a solid financial position, strong profitability, capitalisation and cost efficiency. We are now setting the strategic direction to capture the opportunities generated from market evolution, to secure long-term growth and ensure that SEB will deliver world class service to our customers in a rapidly changing and highly competitive banking landscape" says Johan Torgeby, SEB's President and CEO. SEB's ambition is to become the undisputed leading Nordic corporate and institutional bank, as well as the top universal bank in Sweden and the Baltic countries, maintaining a strong financial position and cost efficiency to deliver shareholder value. Operational Excellence: Customers demand smarter, faster and more secure services. SEB needs to continuously increase productivity and cost efficiency, by accelerating digitalisation and end-to-end automation processes, and increase the use of data. Advisory Leadership: As products within the banking industry become increasingly commoditised, the quality of advisory will be a key differentiator for SEB to be relevant to customers. Therefore, SEB intends to further strengthen advisory capabilities in high growth segments in investment banking, to capture opportunities from the tech/digital transformation, and in the energy sector and leverage on SEB's strengths within private banking in the Nordics. SEB will continue to take a leading role within sustainable finance and will strengthen its sustainability competence, products and advisory offerings. Extended Presence: SEB aims to widen its customer interface in order to leverage the growing bankable market in an increasingly interconnected world. With open banking, new revenue opportunities will arise outside existing distribution channels. SEB is also looking to identify cutting-edge financial solutions with new partners to integrate on SEB's platform and include in its full-service customer offering. SEB will continue to operate with a strict cost discipline ensuring that its current operations are run with an unchanged cost base during the business plan period 2019-2021. The new strategic initiatives, on an accumulated basis, are estimated to lead to total additional investments of SEK 2-2.5bn during the three year period 2019-2021. This translates into an annual cost increase of SEK 1bn by 2021, and a new total cost target of around SEK 23bn by 2021, assuming 2018 FX-rates. The pace of investments will be dependent on progress and will be gradually ramped up over the next three years. The strategic initiatives are expected to lead to both improved revenue growth and cost efficiencies over time. Johan Torgeby, President and CEO, will present the summary of the Business Plan for 2019-2021. The presentation can be followed live and will be available 09:30 (CET) on sebgroup.com/ir. For media attendance, please contact press@seb.se or +46 8 763 91 10 for accreditation. Johan Torgeby, Masih Yazdi, Finance Director, and Christoffer Geijer, Head of Investor Relations, will present the business plan, followed by a Q&A session. To participate, please call +44 (0)2071 928 000, quote conference id: 2080598, at least 10 minutes in advance. The telephone conference audio webcast can be followed live on sebgroup.com/ir and will also be available afterwards. This is information that Skandinaviska Enskilda Banken AB (publ.) is obliged to make public pursuant to the EU Market Abuse Regulation. The information was submitted for publication, through the agency of the contact persons set out above, at 18.00 CET, on 12 December 2018. SEB is a leading Nordic financial services group with a strong belief that entrepreneurial minds and innovative companies are key in creating a better world. SEB takes a long-term perspective and supports its customers in good times and bad. In Sweden and the Baltic countries, SEB offers financial advice and a wide range of financial services. In Denmark, Finland, Norway, Germany and UK the bank's operations have a strong focus on corporate and investment banking based on a full-service offering to corporate and institutional clients. The international nature of SEB's business is reflected in its presence in some 20 countries worldwide. At 30 September 2018, the Group's total assets amounted to SEK 2,777bn while its assets under management totalled SEK 1,871bn. The Group has around 15,000 employees. 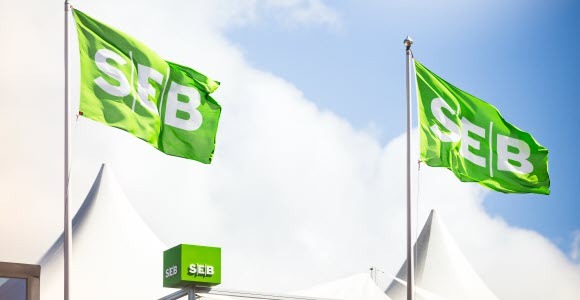 Read more about SEB at http://www.sebgroup.com.